Gareth Malone rehearsing the Trafalgar Square audience in singing part of Bizet’s Carmen. Once singing in a choir was reserved for church on Sundays but in the last few years choral singing has become more and more popular. 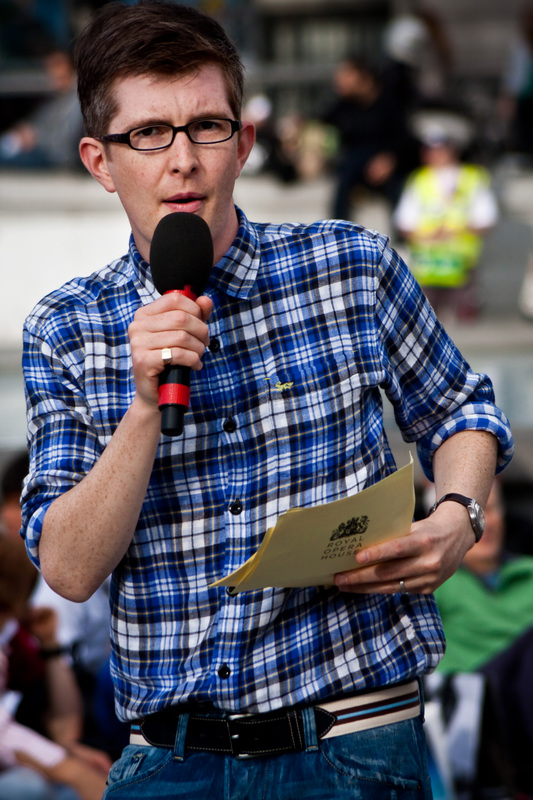 Gareth Malone and his series The Choir and other reality TV shows, such as the X Factor, have inspired people to find their voice and find a choir to sing in. In fact, it is now estimated that 2.8 million people in Briton take part in a choir or singing group and many more probably sing solo in the shower, the kitchen and the car as they go about their daily business. Music is a mood influencer and we have only to look at the amount of music written over centuries to see its powerful effects. What’s more, it has been shown that if you join a choir you will feel part of a group more quickly than many other activities. There is something special about singing, revealed in an October 2015 research project undertaken by The Royal Society which indicates that singing may be an evolutionary development that enables human beings to bond more quickly in social situations. Singing can even act as a pain-killer probably due to the release of endorphins and can create a feeling of well-being, especially when singing as part of a group. The harmonious activity acts to synchronise us together and creating a beautiful sound lifts the spirits. This entry was posted in Brixham, Choral, Classical Music, Composers, Handel, Health, Paignton, Social, torquay and tagged choir, choral, classical, friends, Gareth Malone, Handel, Health, singing, torquay. Got a Handel on it now?